Inversion: Writers who observe the poignancy sometimes given by inversion, but fail to observe that ‘sometimes’ means ‘when exclamation is appropriate’, adopt inversion as an infallible enlivener; they aim at freshness and attain frigidity. Which doesn’t really mean anything as far as I can see! Lots more about Fowler HERE. Here is a list of the most common usage Errors. 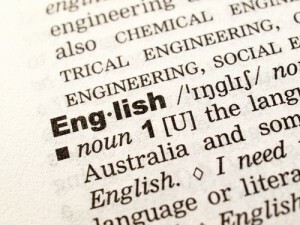 English Usage is a very common test questions on standardized tests for ESL such as the Michigan English Language Arts Batttery or MELAB. 1. Choose the sentence with the correct usage. The ceremony had an emotional effect on the groom, but the bride was not affected. The ceremony had an emotional affect on the groom, but the bride was not affected. The ceremony had an emotional effect on the groom, but the bride was not effected. 2. Choose the sentence with the correct usage. Anna was taller then Luis, but then he grew four inches in three months. Anna was taller then Luis, but than he grew four inches in three months. Anna was taller than Luis, but than he grew four inches in three months. Anna was taller than Luis, but then he grew four inches in three months. 3. Choose the sentence with the correct usage. Their second home is inBoca Raton, but there not their for most of the year. They’re second home is inBoca Raton, but they’re not there for most of the year. Their second home is inBoca Raton, but they’re not there for most of the year. There second home is inBoca Raton, but they’re not there for most of the year. 4. Choose the sentence with the correct usage. They’re going to graduate in June; after that, their best option will be to go there. There going to graduate in June; after that, their best option will be to go there. They’re going to graduate in June; after that, there best option will be to go their. Their going to graduate in June; after that, their best option will be to go there. 5. Choose the sentence with the correct usage. You’re mistaken; that is not you’re book. Your mistaken; that is not your book. You’re mistaken; that is not your book. Your mistaken; that is not you’re book. 6. Choose the sentence with the correct usage. You’re classes are on the west side of campus, but you’re living on the east side. Your classes are on the west side of campus, but your living on the east side. Your classes are on the west side of campus, but you’re living on the east side. 8. Choose the sentence with the correct usage. Disease is highly prevalent in poorer nations; the most dominant disease is malaria. Disease are highly prevalent in poorer nations; the most dominant disease is malaria. Disease is highly prevalent in poorer nations; the most dominant disease are malaria. Disease are highly prevalent in poorer nations; the most dominant disease are malaria. Although I would prefer to have dog, I actually own a cat. Although I would prefer to have a dog, I actually own cat. Although I would prefer to have a dog, I actually own a cat. Although I would prefer to have dog, I actually own cat. 10. Choose the sentence with the correct usage. The principal of the school lived by one principle: always do your best. The principle of the school lived by one principle: always do your best. The principal of the school lived by one principal: always do your best. The principle of the school lived by one principal: always do your best. “Affect” is a verb, while “effect” is a noun. “Than” is used for comparison. “Then” is used to indicate a point in time. Disease is a singular noun. The word “principal” is a synonym for primary or major. “Principle” means a fundamental truth.